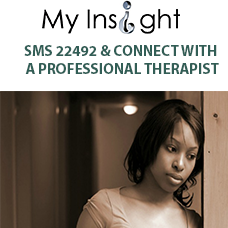 My Insight is an SMS based Counselling service on 22492 that offers you an easy and effective way to get answers from a professional Counsellor, anonymously and confidentially, anywhere, anytime. Text an SMS with your issues to 22492 and receive answers from wherever you are. The charges are Kshs. 25/-for every SMS. My Insight has a pool of professionally trained Counsellors ready to help address a variety of issues such as relationship with self and others, love, marriage, careers, loss and bereavement, workplace dynamics, adolescence, school, parenting, family issues, anti-social behaviour, anger, stress, sexual and reproductive issues, gender, HIV, stigma and discrimination, family, trauma, stress, conflict middle and old age, retrenchment and retirement and other blocks to growth. Accessing counselling/therapy services has never been easier! We understand that each client, family, child, youth, couple, marriage, etc. has their own unique set of experiences. 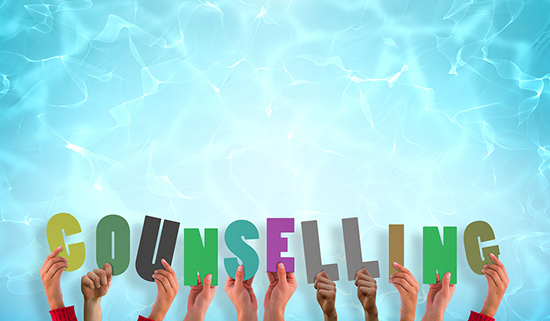 If the Counsellor decides that you need further help, they will direct you on how to access such help. The service offers support for all ages. Text 22492 and get connected to a professional Counsellor between 7 days a week. Counselling and therapy offer a variety of positive benefits. Exploring your thoughts with a professional, non-judgmental person can make you feel less alone and more able to sort out your thoughts in a productive way. When thoughts are disorganized, it can be challenging to make good choices.